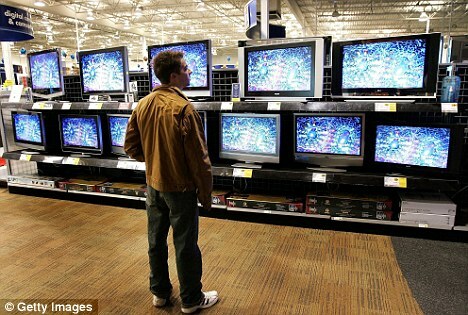 Big screen plasma televisions are to be banned in California because they use too much energy. In a world first, Governor Arnold Schwarzenegger has given his backing to the crackdown on sets more than 40 inches wide. These liquid crystal display and plasma high definition sets can use as much as three times the power of smaller cathode ray models. Experts say the ban will reduce the state's rocketing electricity bill by 7 billion over the next decade. This is the equivalent of about $29.88 on average a set per year. Environmentalists have applauded the move by the California Energy Commission, but manufacturers claim consumers will be hit in the pocket as they rush to switch sets. About a quarter of televisions currently available will have to be pulled from the shops, according to Doug Johnson of the Consumer Electronics Association. 'Voluntary efforts are succeeding without regulations,' he said. Televisions account for about 10 percent of residential energy use in California, the state with the highest population in the U.S., driven largely by the surge in sales of large flat screens. The bigger the set, the more energy they use. A vote to confirm the proposal could come as soon as November 4. Sets with screens of up to 58 inches would have until the start of 2011 to comply with a minimum efficiency standard, with more stringent rules being introduced two years later. However, state regulators are still debating what standards should apply to televisions with screens bigger than 58 inches. 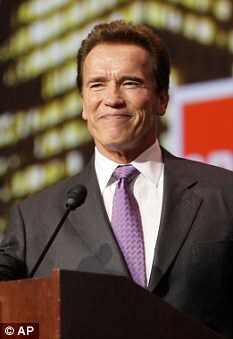 Energy Commission spokesman Aaron McLear said Governor Schwarzenegger had given his support to the scheme. Commissioner-Julia Levin, who is behind the push for new regulations, said: 'We would not propose TV efficiency standards if we thought there was any evidence in the record that they will hurt the economy. 'This will actually save consumers money,' she added. Manufacturers claim that hundreds of the biggest selling LCD models on the market already comply with the tough new standards. They say they are quickly coming up with ways of slashing power use through new technology and materials, making even 50-inch models more economical to use.